We’re back with an on-topic cast as the crew gather to talk all the video game news that’s fit to print…or talk about. Whichever. Leading off, Eddy gets sad about Watch_Dog’s delay (much disappointment), Anthony bemoans the current direction of Final Fantasy, I talk about Ryse: Son of Rome’s crunch, Jeff soliloquizes about The Wolf Among Us and we close with some Grand Theft Auto 5. So, it’s a pretty full cast. Listen, rate the podcast (it’s very important that you do this since we lost all our previous ratings) and enjoy life. We’ll be back soon with another episode. Several new challengers, actually. Now that the fall is rolling out like AutoBots, it’s safe to say that our Power Rankings chart is going to undergo quite a few transformations of its own, month-to-month. See what I did there? References! 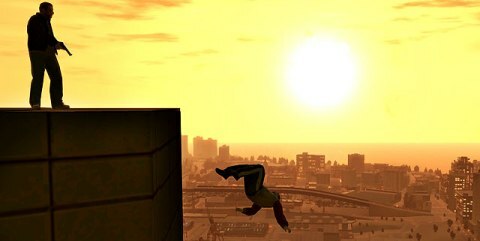 This month sees several new contenders making a debut on the rankings, from mobile games to indie titles and to arguably the biggest blockbuster of the entire year in Grand Theft Auto V. Yes, this venture into Los Santos and San Andreas has stolen our hearts, making us forget all of the abuse that Rockstar dished out in Grand Theft Auto IV. We’re fickle beasts. So this just happened. It’s kind of big news, I guess. 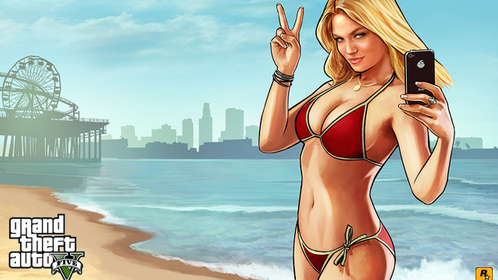 There’s not much to say about the Grand Theft Auto V trailer that you haven’t heard already. It’s been several years since GTA IV came out, and Rockstar definitely has a lot to live up to in terms of expectations. Do they rise to the occasion? I guess you can watch and find out. So what are your reactions to the trailer? As much as I’m not a graphics guy, I have to say that the detail and the quality of the animations shown in the trailer are really impressive. It also seems to me that we’re back in Los Santos, though it’s hard to tell if it’s going to include the same amount of real estate that we saw in San Andreas. While I’m curious to see more of this game, we all know that I wasn’t a huge fan of Grand Theft Auto IV, so they’ll have to show me something new and interesting to get me more pumped for this than I am for Saint’s Row 3. That’s just my opinion, though. Let’s hear yours. Go! Well, for weeks now, speculation has been running rampant about Grand Theft Auto V: when it’s going to be announced, who’s going to be in it and what parodies we can expect. However, one of the biggest questions still remaining about the next iteration of Rockstar’s landmark series is where it’s going to take place. It seems that Rockstar has finally silenced the masses with a press release that went out yesterday. The next GTA is going to take place in space. We just felt that we’ve “been there, done that” in regards to various other settings in previous Grand Theft Auto games and other Rockstar properties. I mean, we’ve done the 80’s, the 90’s, the Old West, the 1950’s in the upcoming L.A. Noire and even a modern-day post 9/11 America in GTA IV. 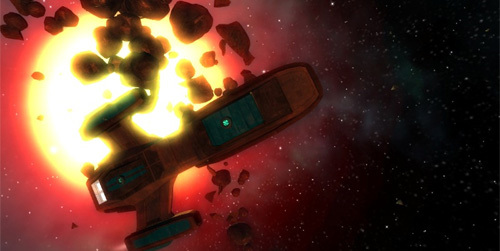 Space is, quite literally, the Final Frontier in terms of where Rockstar’s games could go. It should be new and exciting for fans of our current games, just like it is for us. The press release was shy on details, but here are a couple of things that have come to light about the way Grand Theft Auto (or should that be Shuttle, now) is going to play. So, that’s quite the bomb to start the weekend with. What do you think of Rockstar’s bold new direction for the series? Just a few months ago, if you had said the words “Grand Theft Auto” to me, I might have done a terrible Niko Bellic impersonation or laughed in your face, spouting all the predictable things I’ve come to repeat about GTA 4 and what a let down it was for me. Granted, that would have been before Red Dead Redemption, which has renewed my interest in Rockstar games, and given me hope for the inevitable Grand Theft Auto 5. The lovable dudes over at GamesRadar have put together a bit of a wish list for Grand Theft Auto 5, plotting out all the things they’re dying to see. As is the case with their other wish lists, I really like some of the stuff they mentioned, particularly the bits about the driving, more wide open spaces and a new time period. I know I constantly get mocked for this, but I just want a GTA that takes place in the future. Call me crazy. What do you guys think of this wish list, and what would you put on yours?